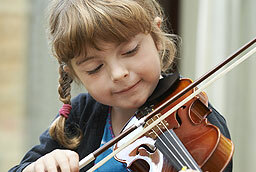 We currently offer lessons for voice from ages 5 to adult. 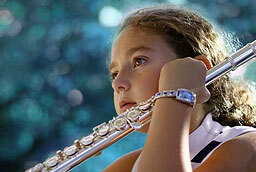 We recommend that students can start voice lessons as young as 5 years old. However, for voice students that are between the ages of 5-8 vocal lessons will typically be a “combination lesson” – which will involve a class that is 15 minutes of piano and 15 minutes of voice. 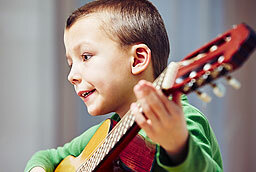 For students in the 5-8 year old age group voice lessons will be geared towards “singing for fun” and will not involve rigorous vocal technique as children this age are usually not old enough to safely engage in intensive voice technique. Learning the piano in tandem with voice helps young singers improve vocal pitch, and also gives them a broader understanding of how their singing voice intertwines with music and piano accompaniment. 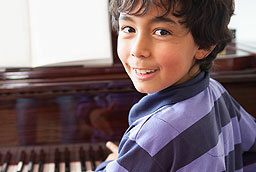 Learning the piano is also an effective tool for improving vocal pitch and ear training. As most parents know – children often begin singing joyfully and naturally before pre-school; lessons for children in the 5-8 year old age group are designed to engage and enhance their musical interests and further develop their passion for singing. Voice Versatility – students learn how to change their voice to adapt to different musical styles and genres … from musical theatre to rock to classical! As noted above all of our voice instructors offer voice and piano combination lessons, which are available to students of all ages. A voice and piano combination lesson emphasizes a dual focus on both vocal technique and playing the piano – combined into one lesson. Part of the lesson will often be focused on teaching students how to sing and play with piano accompaniment at the same time.